The influential conservative group Club for Growth PAC criticized Republican presidential candidate Mitt Romney's position on the minimum wage, calling it "disappointing." "Indexing the minimum wage would be an absolute job killer," Club for Growth President Chris Chocola said. "Mitt Romney's proposal is anti-growth and would harm our economy. It's disappointing to hear that the leading candidate for the Republican nomination believes that the government can set the price of labor better than the free market." Club for Growth's critique was made after a reporter asked Romney aboard his campaign plane Wednesday if he still believed the minimum wage should be indexed to account for inflation, essentially increasing the minimum wage each year to keep up with the cost of living. 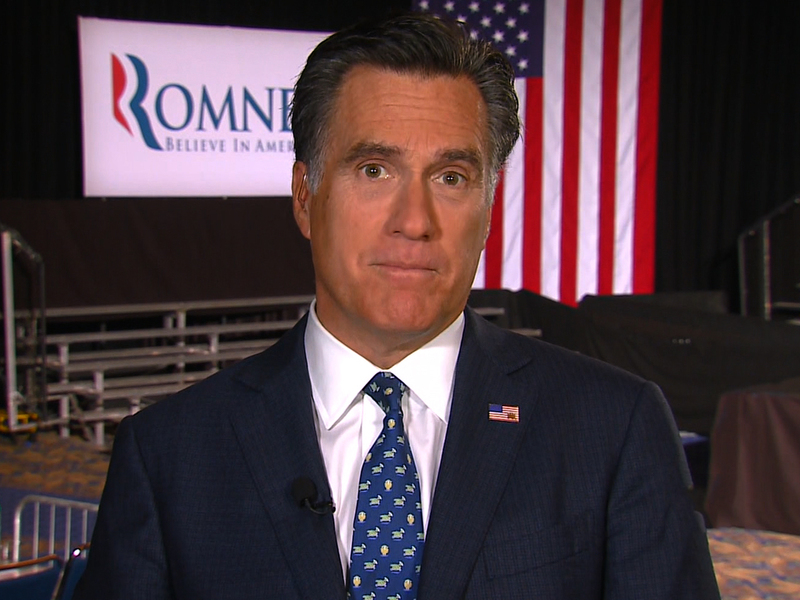 Romney failed to expound on his position, but said he has "the same thoughts as in the past." Since he was governor of Massachusetts, Romney has said he supports automatic hikes in the minimum wage. Romney's position differs from Gingrich's. At a campaign event on January 10th, Gingrich was asked by a member of the audience if he agreed with Romney's position. Gingrich said, "No, and I'm surprised that's his position." The federal minimum wage was implemented at the tail end of the Great Depression in 1938. It has been increased periodically through out the years and not without political fights in Congress. Some Republicans are opposed to a minimum wage at all because it is a government mandate, and many oppose increasing it, saying it is harmful to businesses. The last time Congress authorized an increase to the minimum wage was in 2007, raising it from $4.25 to its current rate of $7.25 per hour in 2009. Club for Growth supports conservative candidates that meet its strict bar of low-tax, free-market beliefs. It has not endorsed a candidate this presidential election and usually focuses its attention on congressional races, but Communications Director Barney Keller did not rule out the organization getting involved in this presidential election. Romney's position "is kind of anathema to what we stand for," Keller said. Romney's campaign has not responded to requests for comment.